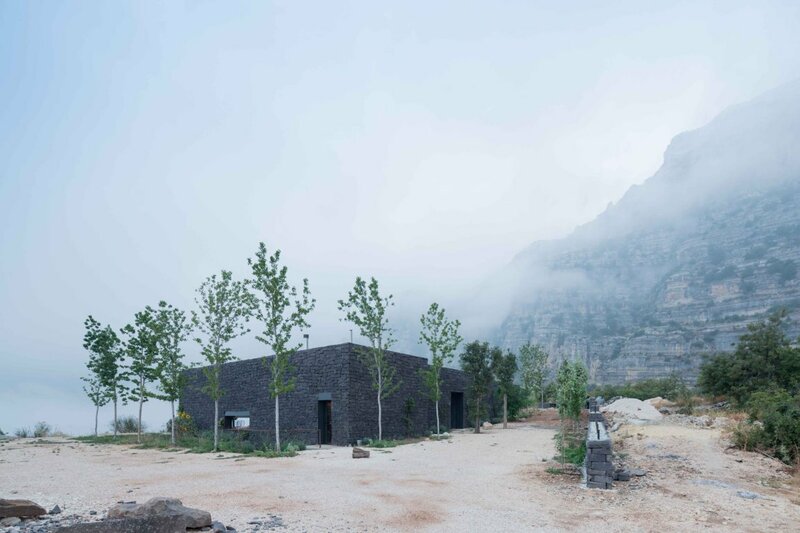 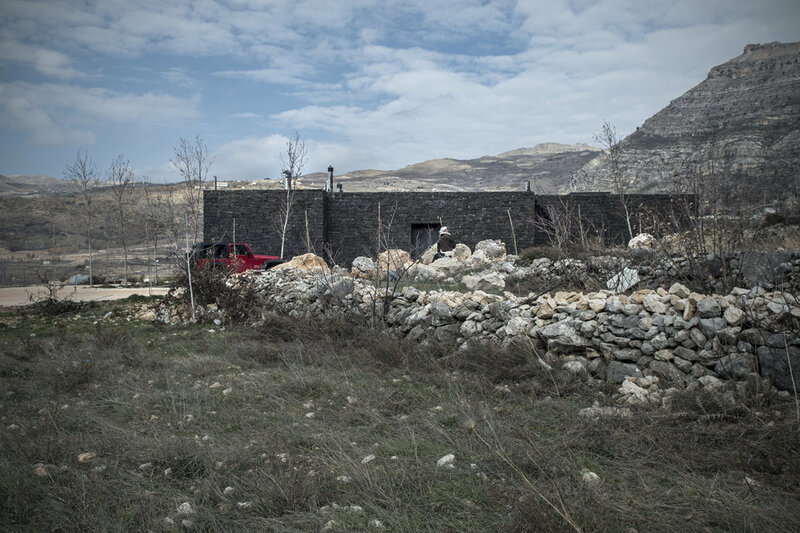 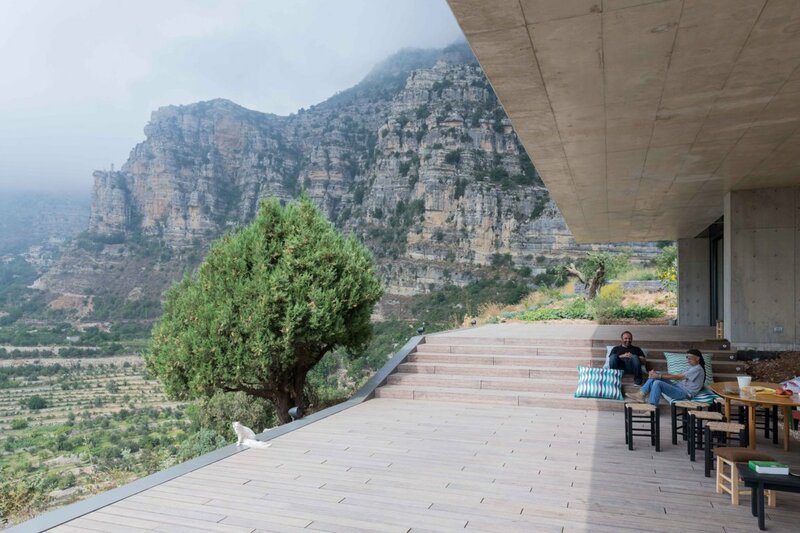 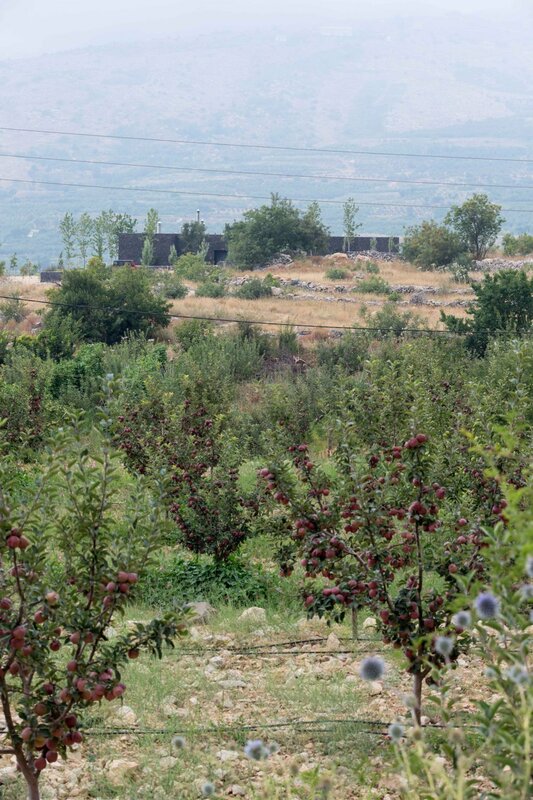 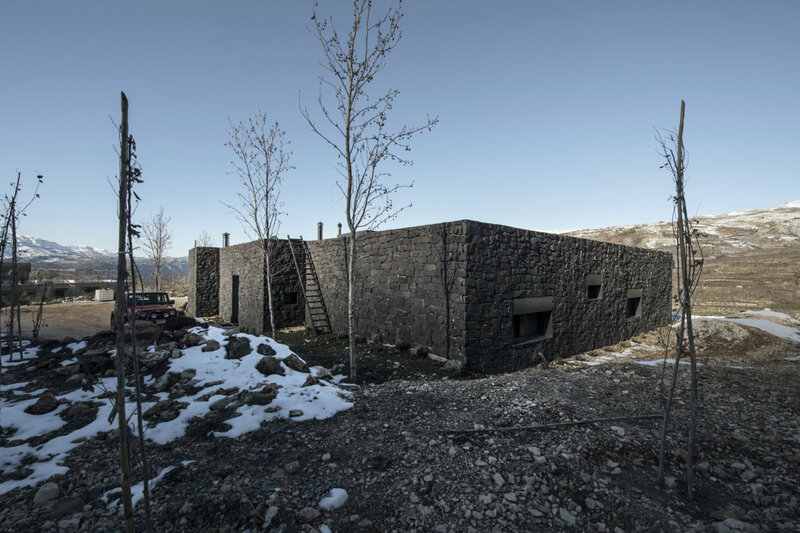 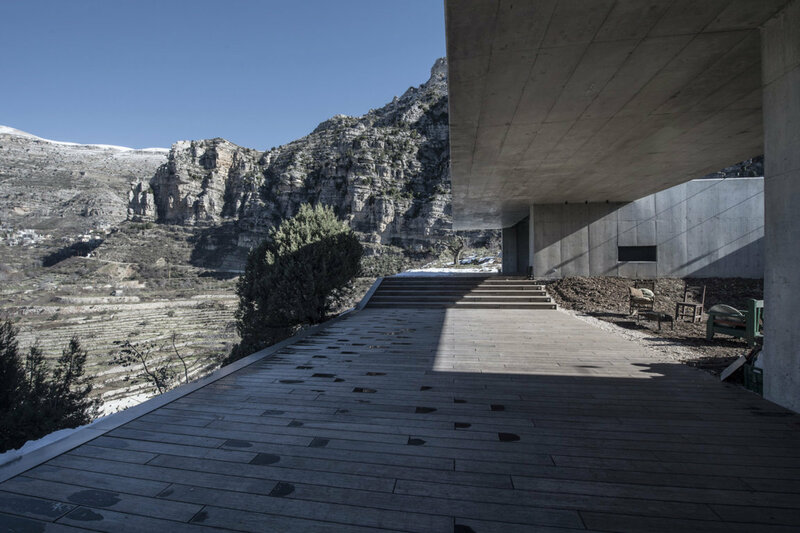 Clad in local stone mounted on concrete walls, the 450sqm SC villa was imagined as though its outer skin had been torn from the mountain it seems to resemble. 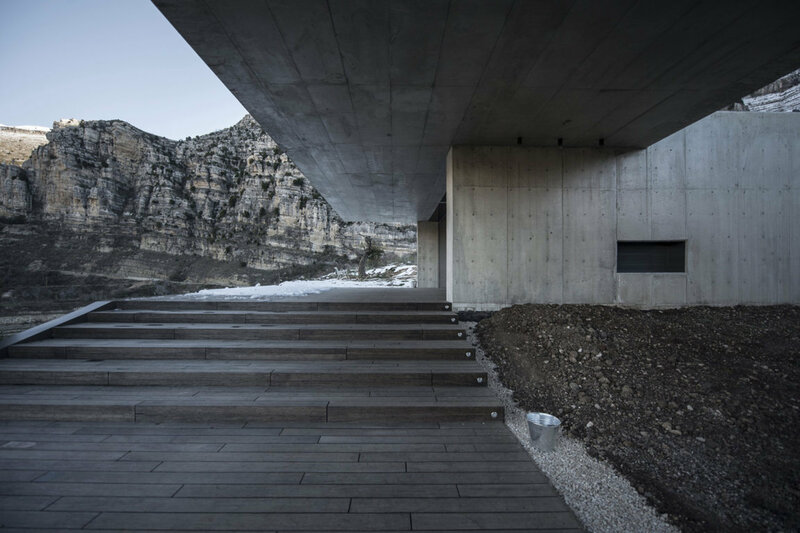 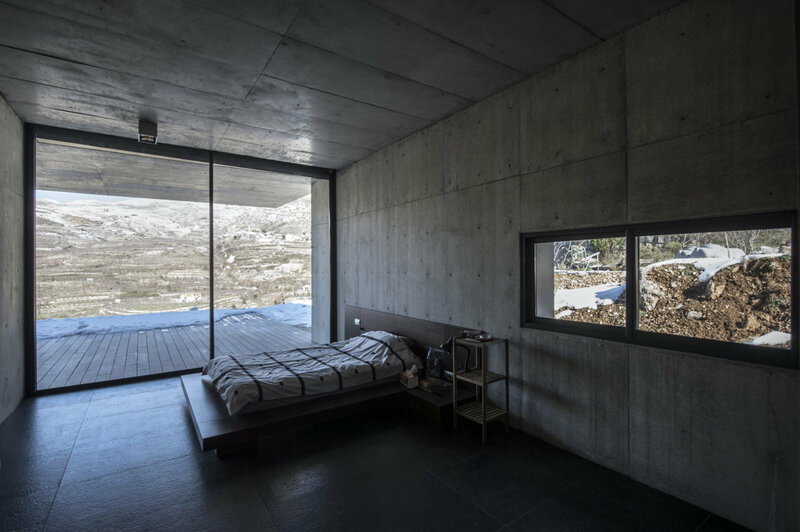 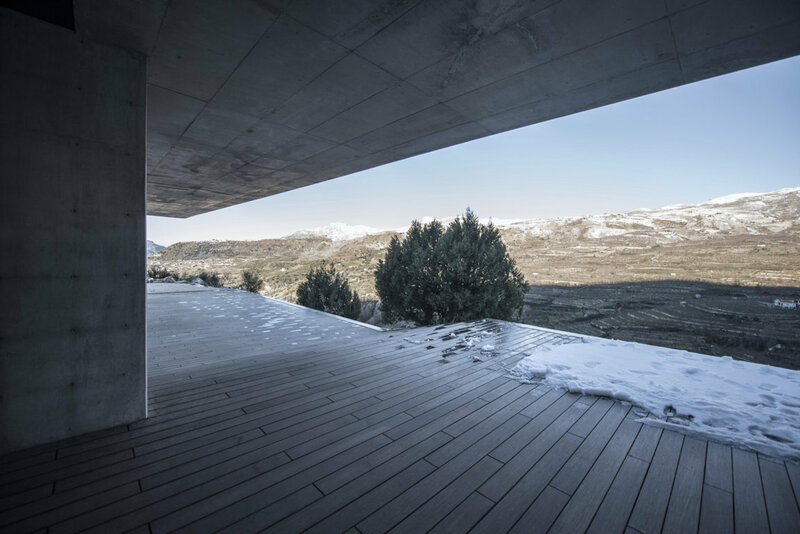 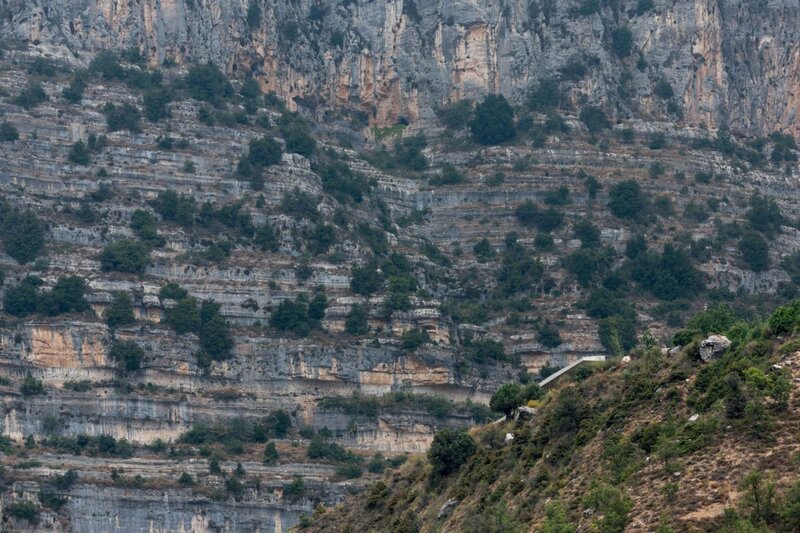 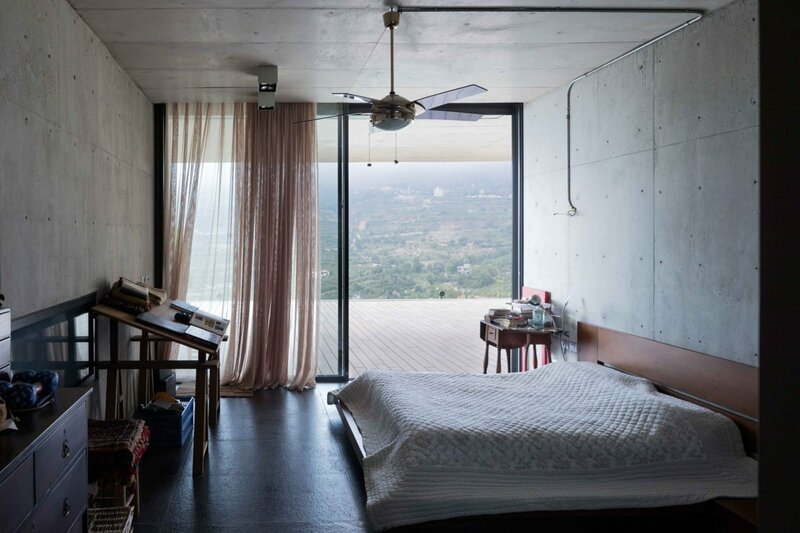 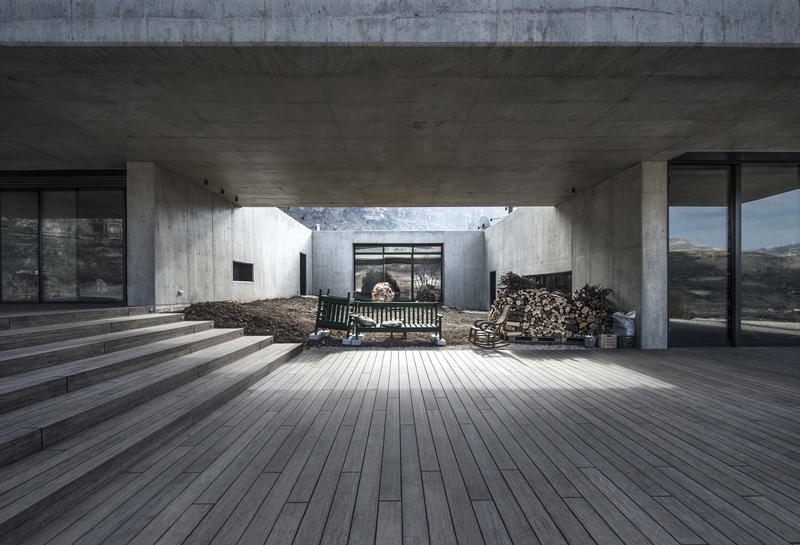 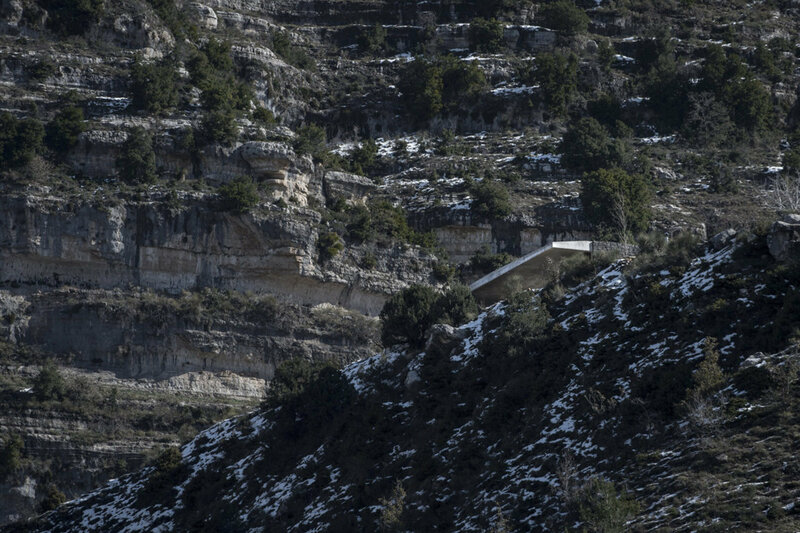 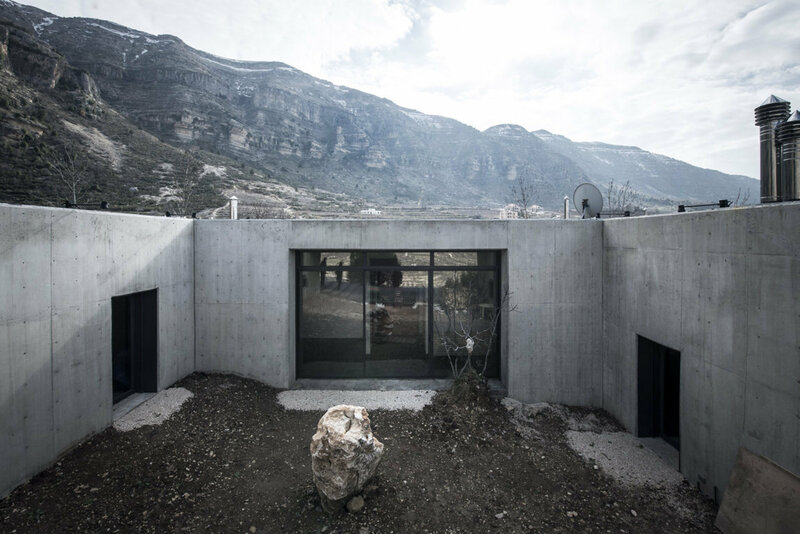 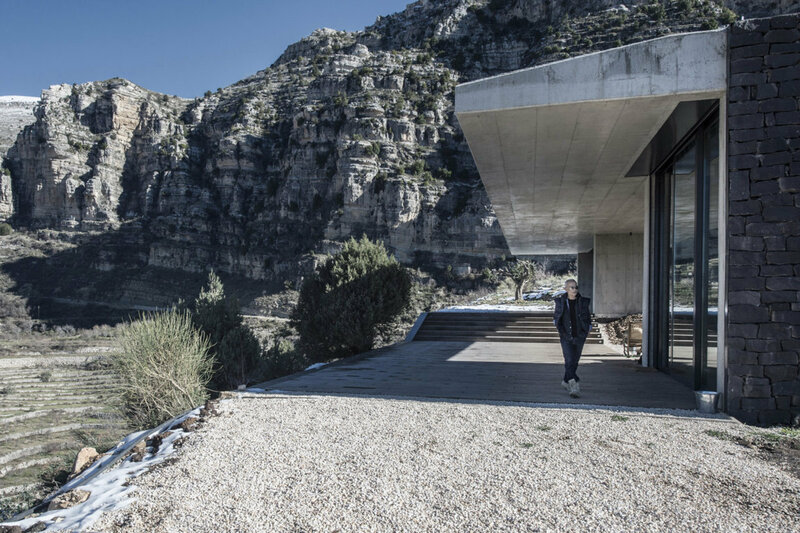 Located in the mountains at an altitude of 1,200 meters above sea level, this house is perched on a cliff edge. 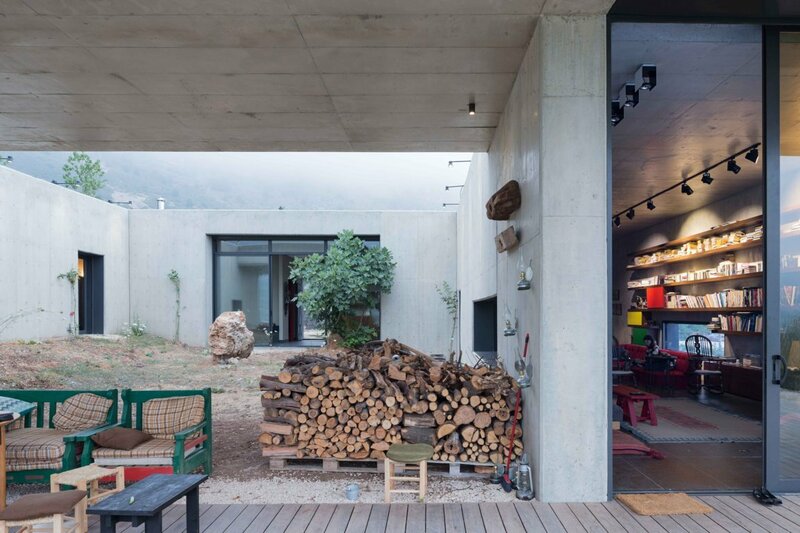 It was designed for a client who was seeking a break from the city. 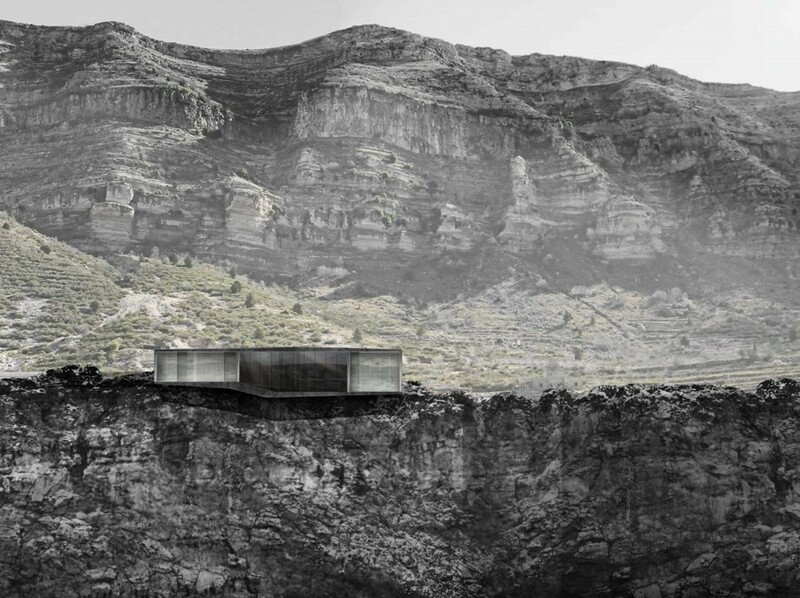 Only the façade overlooking the drop is entirely open. 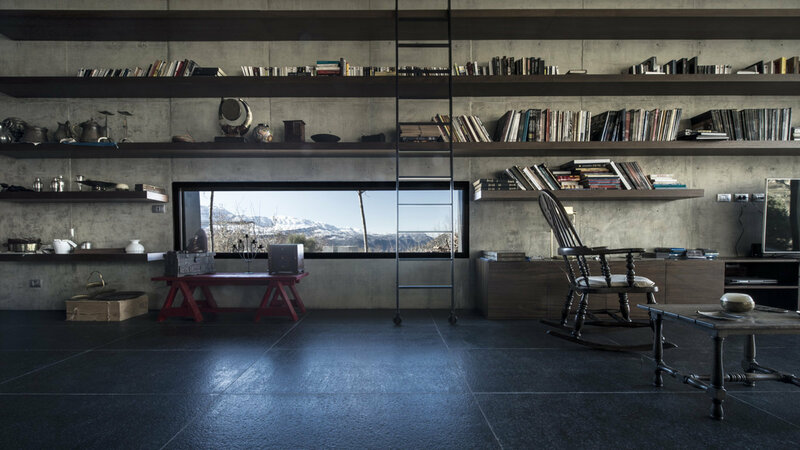 Inside, the sensation of looking upward is emphasized, only surrounding peaks are framed by the view, erasing all visual connection with the ground. 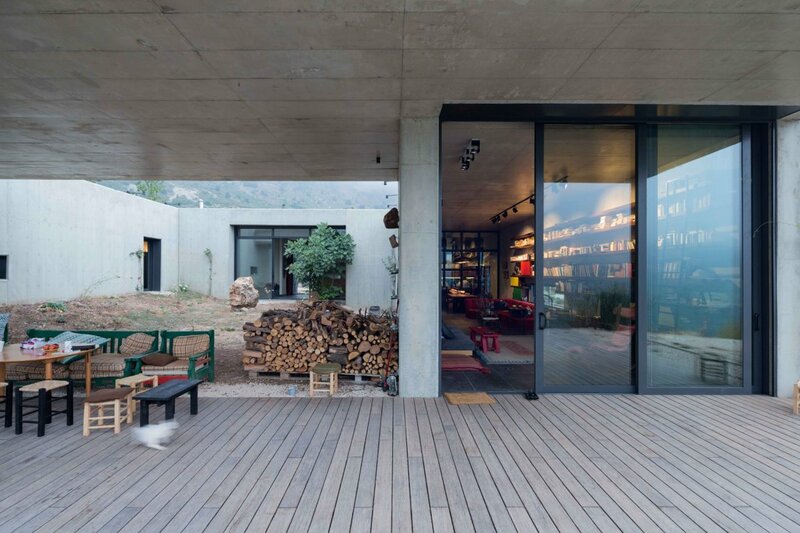 A large central patio concentrates these tensions and amplifies the surroundings. 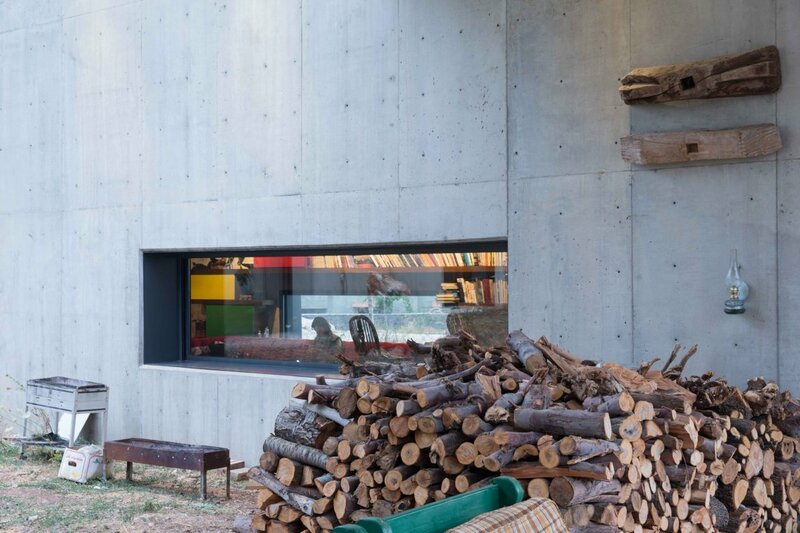 Although it is inaudible from the exterior of the house, the sound of a nearby brook can be heard quite clearly inside. 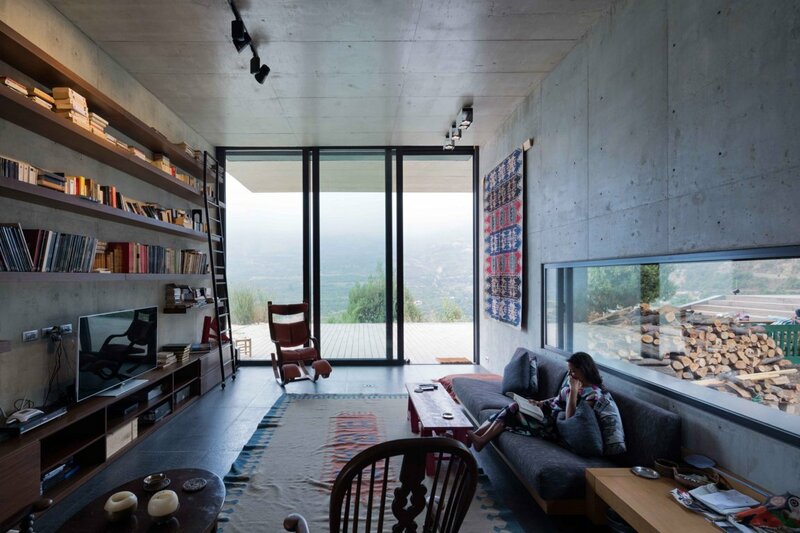 The house was developed around the idea of a sounding board, as a volume that somehow enlarges space and sound. 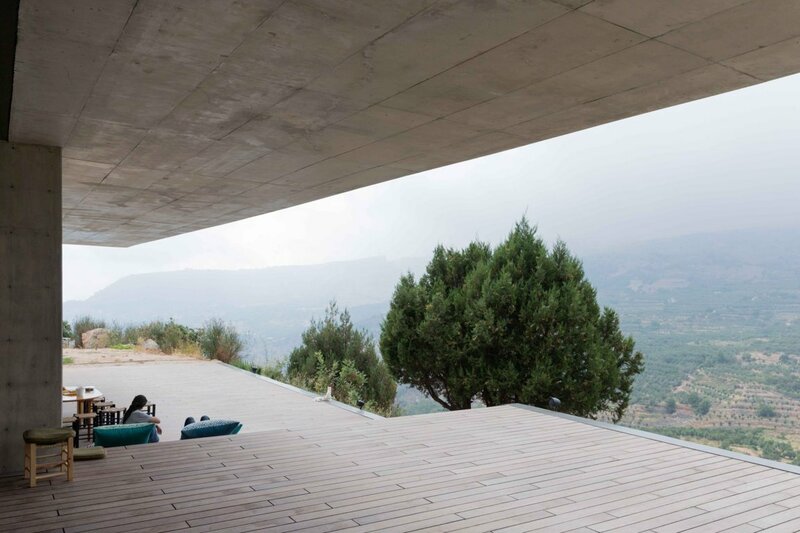 Its apparent proximity to the sky and the clouds render it monolithic, unreal. 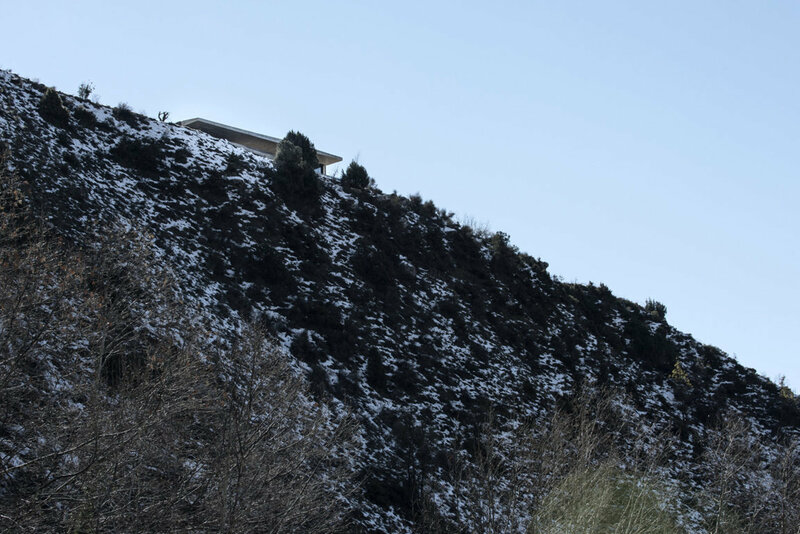 It seems as though it emerges from the mountain itself.